I could not help but swoon over this perfect little bathroom. 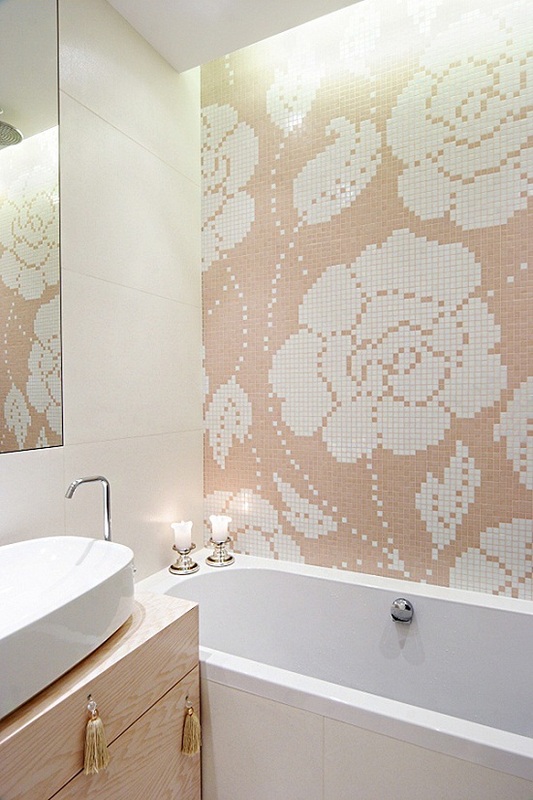 I just love that peachy pink floral tiled statement wall. If I had a little girl I would make her a bathroom like this. I am sure any little girl would love this bathroom, actually, I bet any teen or any single girl in her first pad would squeal with delight over this bathroom! The tassels on the vanity are probably really impractical when your hands are wet, but they are just so cute who can resist? Even the dainty little faucet is cute. Tell me what you think? Do you love this bathroom too?